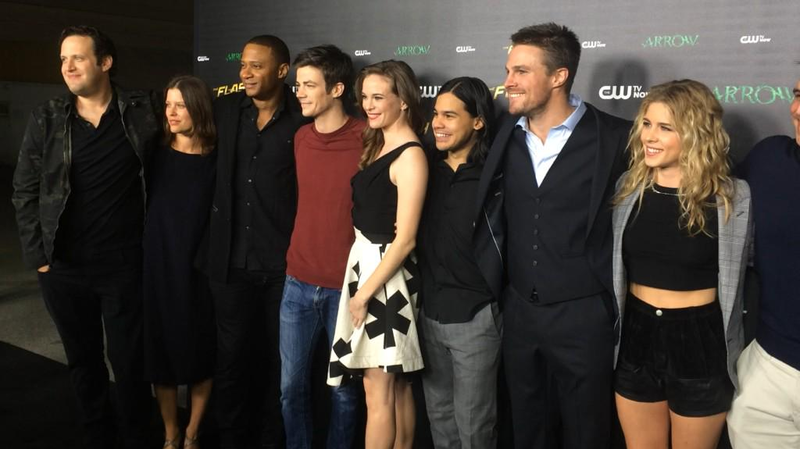 The Flash and panah Crossover Premiere. . HD Wallpaper and background images in the Emily Bett Rickards club tagged: photo. 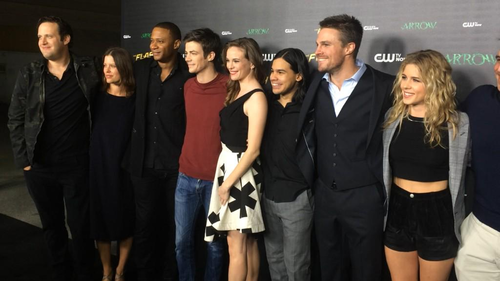 This Emily Bett Rickards photo might contain setelan jas untuk bekerja and setelan bisnis.